This week I’m trying to balance being a mature woman with the excitement of winning FIRST PLACE in the Science Fiction Short Story Category at OWFI! And I think the kid in me is winning. 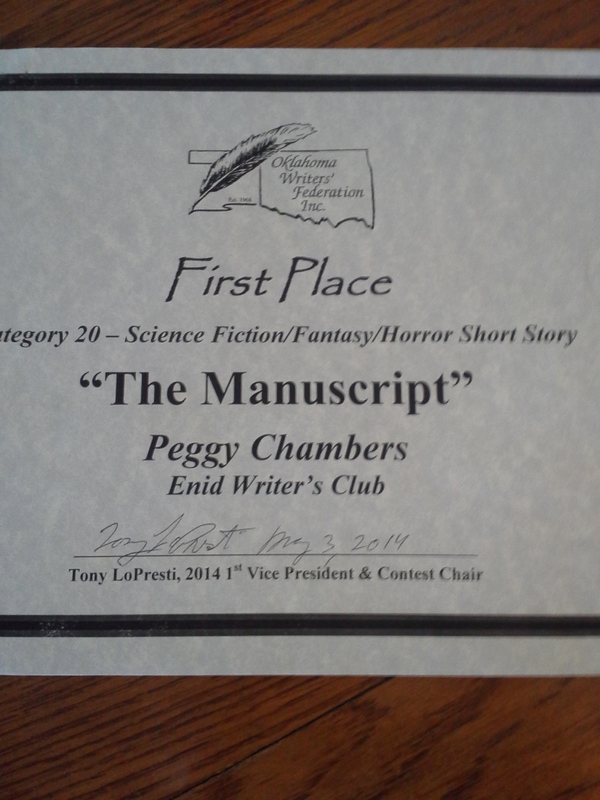 I had no idea my short story “The Manuscript” would even place, which makes the win that much sweeter. There were 920 entries and 35 categories to enter. The competition was great. The OWFI http://www.owfi.org/ Conference is always the first weekend in May and one of the highlights of my year. This weekend it was even better with a 5th Honorable Mention for my western Short Story “He Called her Sally,” and first place for “The Manuscript.”My hat is off to President Christine Jarmola and her board for putting together another great conference. The Key Note Speaker, New York Times Bestselling Author Eloisa James, http://www.eloisajames.com/ was phenomenal. Not only is she a great author and speaker, she is a wonderful person. 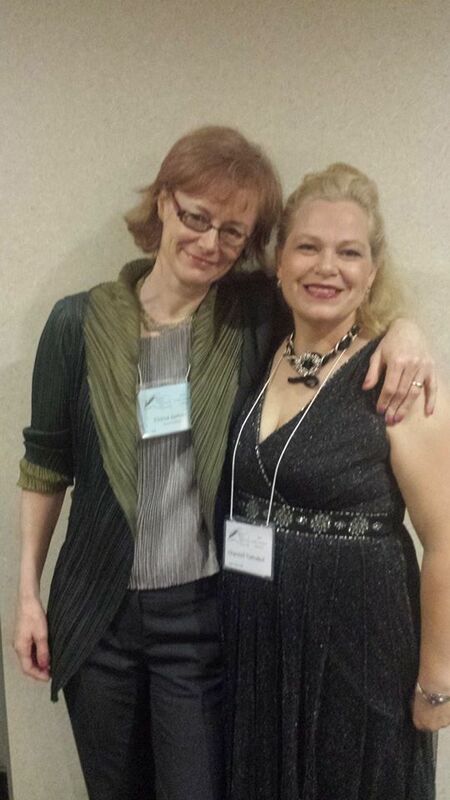 She ended up sitting on the floor with us in a buzz session hosted by The Wildrose Press and actually bought my book! (she bought most every book in the place to promote our work, but it made me feel special). She was very genuine. I had a chance to talk to my publisher, Rhonda Penders, and my editor, Ally Robertson, of The Wildrose Press http://www.wildrosepublishing.com/. I met them last year, but since that time our correspondence has only been through email. It is so nice to actually be able to sit and talk to the people that are trying so hard to make you look good. 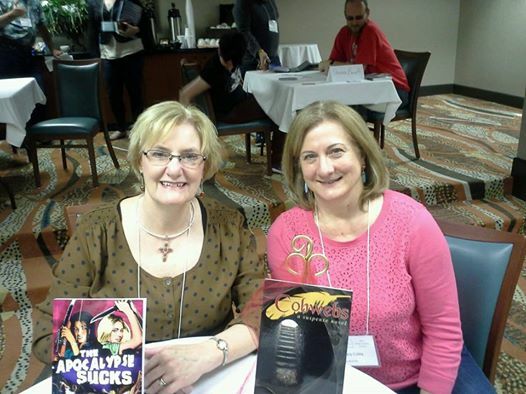 I ran into my friend from high school, Mary McIntyre Coley http://www.marymcintyrecoley.com and we sat together for our book signings. It gave us time to catch up a little and enhanced the experience by sharing it with someone from my past that has the same interests as I do. The Enid Writers’ Club http://enidwriters.com/ had 8 people in attendance at the weekend-long conference which is twice as many as usual. 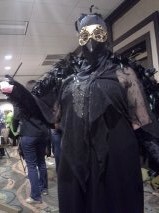 Our president elect Marsha Kay Oldham won the Most Creative Costume at the Friday night costume party. It was great fun and I think I’ll dress up next year also. I truly enjoyed all the sessions I attended and learned many things from different authors on the craft of writing as well as the craft of marketing once the book is written. Once again, I can’t wait until next year! 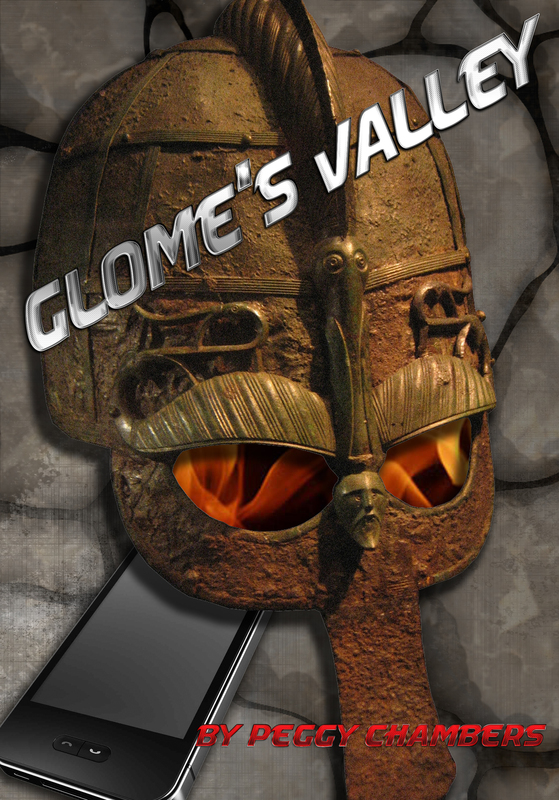 This entry was posted in Uncategorized and tagged Christine Jarmola, Eloisa James, First Place, Mary McIntyre Coley, OWFI, Science Fiction Short Story. Bookmark the permalink. So glad you came and had a great experience. It’s the people that make OWFI such a wonderful conference.